Yesterday was a snow-day. The day before, Ian was bombastically and ballistically ill. We basked in the wonder of Netflix and watched the first season of MacGyver. 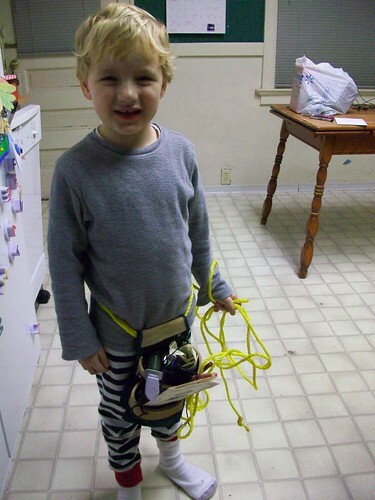 Ian filled his tool-belt with a plastic knife, compass, three pirate eye-patches, and a treasure map. I made a book of matches for lighting fuses. He drew a map consisting of a line with a single dot, labeled ‘BOM’.